Romeo 2 apartment in Nicolosi with WiFi, integrated air conditioning & balcony. Property 54: Romeo 2 apartment in Nicolosi with WiFi, integrated air conditioning & balcony. Romeo apartment in Nicolosi with WiFi, integrated air conditioning & balcony. Property 56: Romeo apartment in Nicolosi with WiFi, integrated air conditioning & balcony. Ninfea apartment in Mascalucia with WiFi, shared terrace & shared garden. Property 60: Ninfea apartment in Mascalucia with WiFi, shared terrace & shared garden. 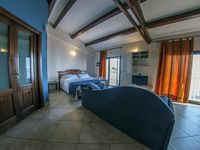 Property 78: Casa di Valentino apartment in Giarre with WiFi, integrated air conditioning, balcony & jacuzzi. Fresia apartment in Mascali with WiFi, private parking, shared terrace & shared garden. 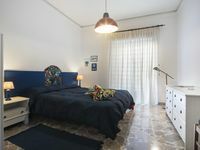 Property 88: Fresia apartment in Mascali with WiFi, private parking, shared terrace & shared garden. Smeraldo 2 apartment in Riposto with WiFi, integrated air conditioning & balcony. Property 93: Smeraldo 2 apartment in Riposto with WiFi, integrated air conditioning & balcony. The apartment is huge and Elio was incredibly accomadating. We were 12 people and it was more than enough room. Great amenities. No ac but you are so high up that you get a great breeze. Parking is no problem at nighttime(a little busy during the day).